Since 2010, low-income New Mexicans have benefited from a powerful and growing program that addresses challenges of food access and improved nutrition all while stimulating market demand for locally grown produce – the Double Up Food Bucks program. However, recent recommendations from the Legislature threaten to undermine the scope and success of this simple, yet impactful program. The Double Up Food Bucks program works by using public and/or private funding to match spending from Supplemental Nutrition Assistance Program (SNAP) recipients dollar-for-dollar when they use benefits to purchase fruits, veggies, breads, chiles and other foods grown and produced in New Mexico at participating farmers’ markets. For example, if a family spends $20 from their SNAP card at a participating farmers’ market, the market cashier will give them an additional $20 to buy fresh fruits and vegetables grown in New Mexico. The family is able to bring home $40 worth of healthy food, and in turn farmers selling at the markets make twice the amount in sales from that family than they otherwise would. In New Mexico, where so much of the population suffers from high rates of poverty, food insecurity and dietary related diseases, the Double Up Food Bucks program presents a rare win-win-win for farmers, families and communities. As a direct result of the Double Up Food Bucks program in 2015, 4,100 low-income consumers were able to stretch their food budgets further, nearly 600 local farmers and food producers gained new customers and earned more money and $375,000 in food dollars stayed in local economies. During the 2015 session, the state Legislature became a national leader when it recognized the benefits of the Double Up Food Bucks program and appropriated $400,000 in recurring funding, demonstrating a commitment to the health of New Mexico families and the local agricultural economy. This appropriation is important in its direct benefits to New Mexico families, but it also brings a federal match, doubling the on-the-ground impact of these state tax dollars. 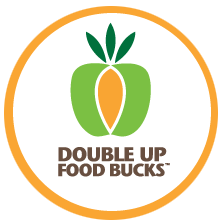 The Double Up Food Bucks program was so successful in 2015 that the New Mexico Farmers’ Marketing Association was planning to expand the program even further so that the Double Up benefits would be available at any grocery store or retail outlet that sells New Mexico-produced foods. This expansion would have created even more opportunities for families using SNAP dollars to benefit from affordable, local food while further extending the economic impact to the state’s mid-sized farms that sell into wholesale rather than solely into direct markets. However, the expansion plans and the very functionality of the Double Up program are now in question. For unknown reasons, this year the Legislative Finance Committee recommended that the state provide only $100,000 for the Double Up program while the governor’s budget recommendation suggests holding the funding steady at $400,000. I recognize that in times of decreasing revenue, the state needs to examine all ways to tighten its belt. However, in light of the federal match that the Double Up program brings in, the recommendation by the Legislative Finance Committee seems penny-wise but pound-foolish, leaving hundreds of thousands of dollars in federal support on the table. Most importantly, however, I want to reiterate that the Double Up Food Bucks program works. Not only have we seen the benefits that it has brought to our state’s citizens in just its first year, but we can see those same benefits mirrored and magnified in the 22 other states where it is also working to expand the customer base for local farmers while making local fresh fruits, vegetables and other healthy foods more affordable for low-income families. It would be tragic if New Mexico decided to functionally abandon this proven, high-impact program in the name of budget cuts. I implore our Legislative Finance Committee to reconsider putting these budget cuts on the backs of low-income families and the farmers who feed them. The New Mexico Farmers’ Marketing Association administers the Double Up program for New Mexico. Getting the benefits is easy: All you have to do is shop at a farmers’ market, farm stand, grocery store, or CSA that participates in the DUFB program and use your EBT card to get automatic benefits (no additional forms, etc. are needed from you); the only thing you need to do is keep in mind that Double Up Bucks can only be used to buy fresh fruits and vegetables grown in New Mexico, and timing is something to be aware of. Farmers’ markets and farm stands are only open during the growing season, with a few markets beginning to open in May and most open by mid June or July. But this year we have select grocery stores in the state who will be offering the DUFB program (again, keep in mind that more and more fresh produce will be available as the growing season progresses). La Montañita Co-op (Albuquerque and Santa Fe) will be offering the program starting May 1. Los de Mora Local Growers’ Market (Mora), Cid’s Food Market (Taos), Taos Food Co-op (Taos), and Taos Market (Taos) will be rolling out the program beginning June 1. For a complete list of markets and farm stands visit the Double Up Food Bucks website next week (www.doubleupnm.org) to see a list of this season’s participating markets (markets are just signing up to participate now, and we are in the middle of making website updates).